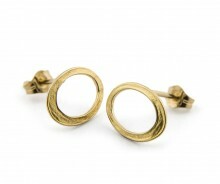 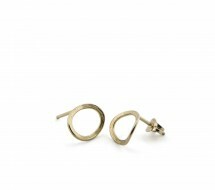 Small delicate contemporary designer oval shaped hand-forged beaten in solid 18ct gold stud earrings. 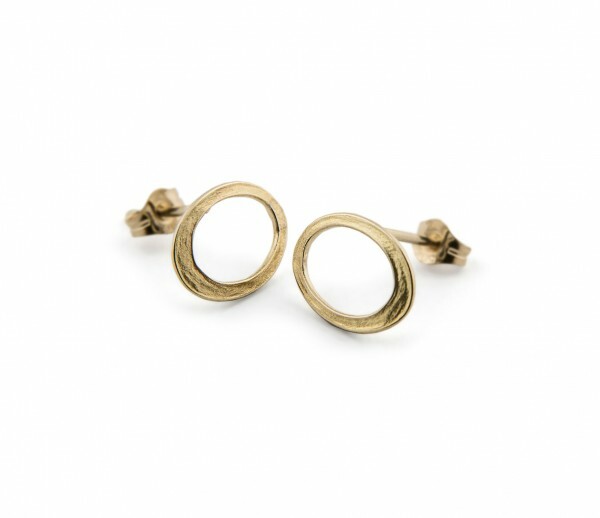 These tiny, beautifully made and softly textured stud earrings make an elegant everyday statement for the lobes of the more discerning collector of modernist jewellery. 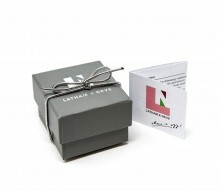 Their off-centre charm and individuality make them a unique gift. 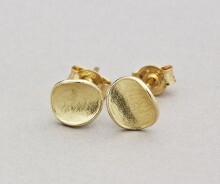 Entirely hand-made in British solid 18ct gold in our workshop in the Garden of England, each piece is different and natural variations will occur. 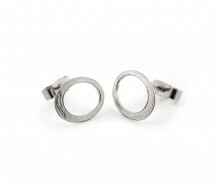 We think that adds to their charm.